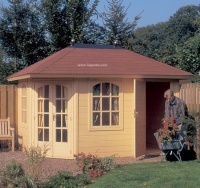 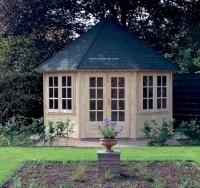 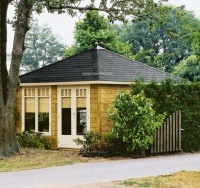 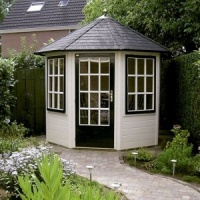 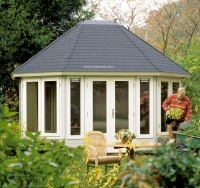 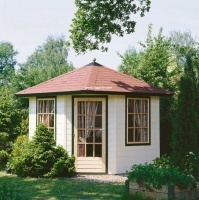 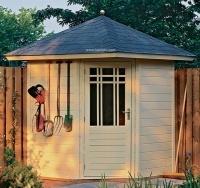 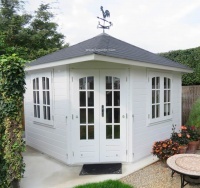 A range of summerhouses with various types of roofs. 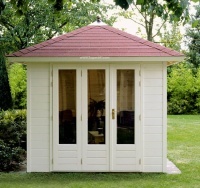 The walls of the Prima 3=1 system, patented and developed by Lugarde where the wall sections slot perfectly into the corresponding corner uprights. 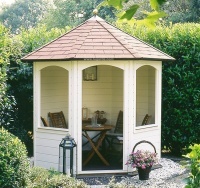 These corner uprights have a bonded slide in aluminium strip fitted, greatly enhancing the strength and durability of your summerhouse. 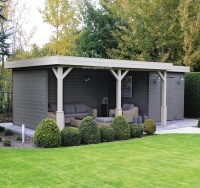 The Prima 3=1 system is an extremely stable construction, that is easy to assemble; with the walls fitting together without the need for nails or screws, allowing for any natural expansion of the wood. 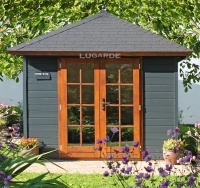 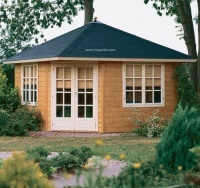 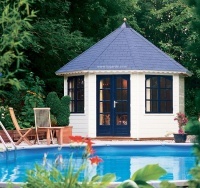 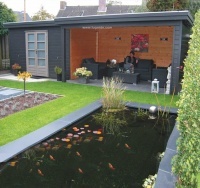 For prices on the buildings follow the link to https://www.lugarde.com/shop/summerhouses-and-log-cabins/ and go to the configurator, where you can enter your base size and start to design your bespoke building. 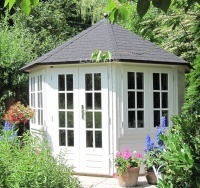 If you require any assistance, please do not hesitate to contact us on 01264 710888.